Thanks Howling Libraries for your Wednesday meme post! Okay this week you’ll have to forgive me for the repetitive info but that’s life. In addition to this meme, I’ll be doing the meme Shelf Control hosted by BookShelf Fantasies. (Click HERE for my last week’s Shelf Control.) Thank you! Let’s get started with WWW Wednesday. The Honours by Tim Clare is the most recent I’ve started. I’m reading the Kindle edition and am 34% through it. Tim Clare is a podcaster, author, poet, comedian, and dad I listen to on a regular basis. This is the first I’ve read of his and I’m enjoying it so far. He’s a talented writer, he definitely shows instead of telling although I’m the kind of reader that doesn’t want EVERYTHING described to me. I like to get a sense of the surroundings but I’m really more concerned with the story itself. That said, I’m digging this and will certainly keep reading. I expect to finish this month. Also, he has a new book, The Ice House, coming out in May. So I want to enjoy this (hopefully) and be ready in time to pre-order The Ice House. 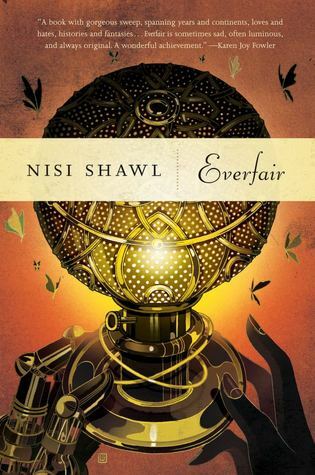 Everfair by Nisi Shawl is a book I’ve been reading for a while now and I’m still reading it on account it’s been a bad two weeks of reading. I really just want to be done with it but it doesn’t deserve to be DNF’d at this point, at this point. If I went back to before I was 3/4 of the way through I might DNF it after all. She’s a talented writer but I don’t think this is an interesting story. I wish she would focus in on more of the meat and potatoes of the story. Each chapter is set in the future, near or far, it varies. The chapters also follow different characters. These changes in perspective are not clear, I wish there was a little more direction as to who we’re reading and why. The characters in my opinion aren’t very well fleshed out either. This will be finished this month. 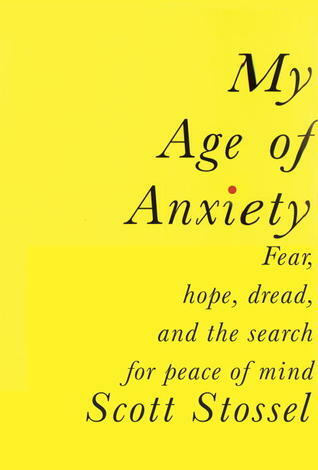 Another book I’ve been reading for a little while, and will continue to take my time with, is My Age of Anxiety by Scott Stossel. This is a non-fiction book about, you guessed it, anxiety. I’m not very far into this book but already I can see it’s very well researched and thorough (and with itty bitty print which means this book is even longer than it looks). I’ll finish this book in April. In the meantime I look forward to all that I’ll learn. A fellow blogger’s post! Lol. Last week and this week so far have been pretty busy outside of the bookish world so I haven’t finished any books. Expect that to change for the next WWW Wednesday! I’ll have Everfair done by next week and who knows, I’ll aim my reading goals high. Cool cover right? This will be next, as soon as I finish Everfair. 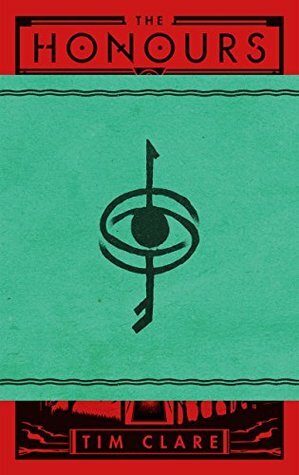 You might know I finished Book 2, The Tropic of Serpents, last month. Click HERE to read my review and see how I enjoyed it. I look forward to discovering new dragons with Lady Trent. 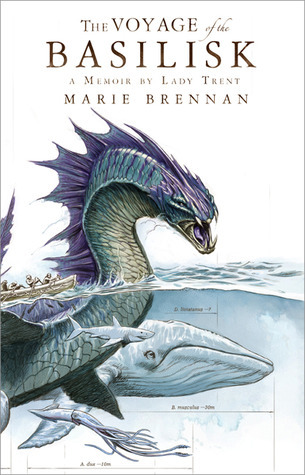 Since finishing The Tropic of Serpents I’ve learned a little more about the author Marie Brennan. I’ve added some more of her books – she’s a prolific writer it seems – to my TBR and look forward to getting to know her better. Check out my post March Plans for more on my history with this book. Then return here and read that since that post I started this book, sort of. Immediately I realized I’VE ALREADY READ THIS. I’VE ALREADY READ THIS! I think it was a couple years ago and I do not remember where I found this book but I do know I really enjoyed it. It seems only fair and right then that I read it again, something I do not do. So this book will be started before March ends. Started again because this last start did not count once I remembered I’d read this already. 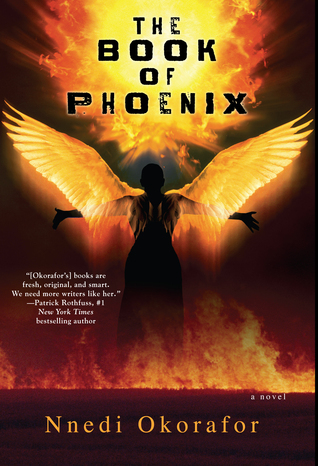 This book is magical futurism and a prequel to the World Fantasy-award winning novel, Who Fears Death. You know I will be reading that one too. Hats off to Nnedi Okorafor for her talented works. Do not mistake my poor memory for a bad book. 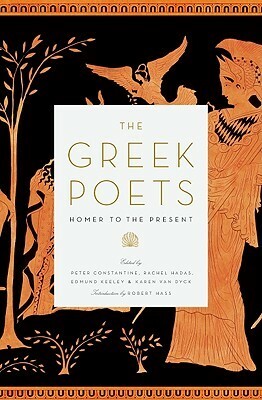 Lastly, as I mentioned in Here’s What’s Up: Rediscovering Books I will be slowly working my way through The Greek Poets: Homer to the Present. Just a little at a time and that will start in this next line up. Okay, what do you think? You reading or have read any of these? Have you read any of these authors? What’s your WWW Wednesday? Thanks so much for stopping by and reading! Check out my Spring 2019 TBR and comment there if you’re interested in any of those books. You can also see my 2019 TBR, that should give you a good idea of what we may or may not have in common. Who knows, you might find that you want to stay posted with what I’m reading and talking about.